As we head into the knockout stages of the 2015 Women's World Cup this weekend, the group phase has to be viewed as a success despite repeated complaints about the artificial turf pitches and a lack of goals from a few of the sides. Many of the matches have provided an entertaining spectacle and the crowds, for the most part, have turned out in decent numbers. Switzerland's Ramona Bachmann has been the individual star of the tournament so far, combining pace, power and trickery to glide through defenses for her side. She has been the most exciting player at the finals by some distance and was desperately unlucky not to put away a wonder goal against Japan after dribbling past several defenders. She did find the net three times against a lacklustre Ecuador in her side's second match. After setting up teammate Ana Maria Crnogorcevic for the opening goal against Cameroon though, the Swiss would be rocked as the African side surged back for a famous win. At 24 though Bachmann looks like a player who will be a star for many years to come. 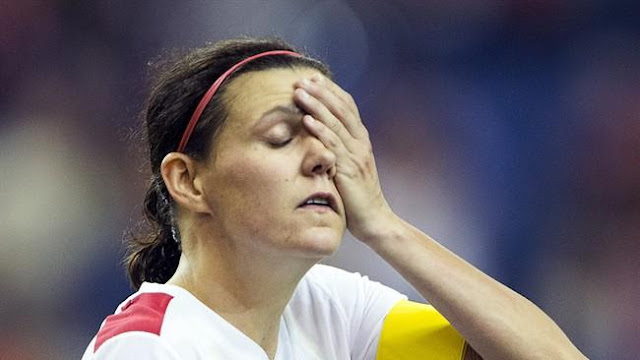 Christine Sinclair has been a fixture on Canada's National Team for fifteen years and is the third highest goalscorer in women's international football history behind only Abby Wambach and Mia Hamm of the United States. Sinclair has had to carry Canada on her back at times over her career, but heading into this World Cup manager John Herdman had told anyone who would listen that the team had been working on a possession style of play and that other players, such as Sophie Schmidt would be decisive. It hasn't quite worked out that way for the hosts who failed to find the goal from open play in their first two matches and after Ashley Lawrence opened the scoring against the Netherlands early on during their final group fixture Canada were again very blunt up top and didn't look like adding to Lawrence's strike. For Canada to get any further than the last 16, they'll need to improve on their laboured attack. Going into the tournament it was generally assumed that the four strongest sides in the World Cup were Germany, the United States, Japan and France. The French lived up to their hype in their first group fixture when they played England off the park and seemed to have a firm grasp on the top spot in the group after only one match. But then came their match against an unfancied Colombian side who grabbed a shock lead in the 19th minute through the brilliantly named Lady Andrade. The French poured on the pressure in search of an equalizer, but could not get the break they needed and were then hit by a sucker punch in the 90th minute by Catalina Usme who sealed one of the biggest upsets in Women's World Cup history for the South Americans. One of the most refreshing things about the women's game, is the relative absence of play acting and blatant time wasting. These things don't seem to have crept into the women's game yet. However the tournament hasn't been bereft of physical play, with a few tasty tackles flying in during several matches. There was also the ugly spectacle of Nigeria's Ugo Njoku smashing an elbow into the face of Australia's Samantha Kerr and subsequently landing herself a three match suspension. 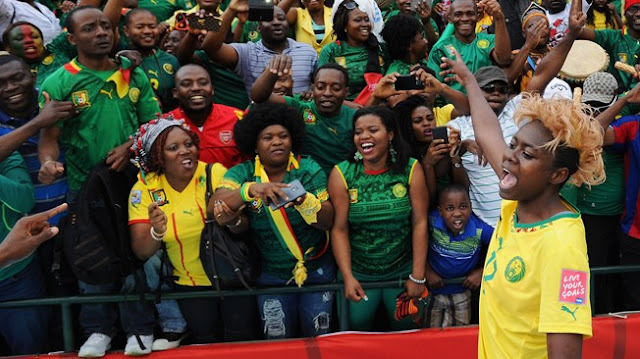 One of the big surprises of the group stages was Cameroon's stirring comeback against a much fancied Switzerland side that had narrowly lost to Japan before hammering Ecuador. After the excellent Ramona Bachmann had continued her good form in the first half for the Swiss, Cameroon were lucky to be only one goal down. But two minutes after the break they responded with an equalizer through Gabrielle Onguene and then on the hour a bullet header from Madeleine Ngono Mani saw Cameroon through to the last sixteen where they will face China in Edmonton. Switzerland still managed to scrape into the Round of 16 as one of the best third place sides and will face Canada in Vancouver on Sunday.